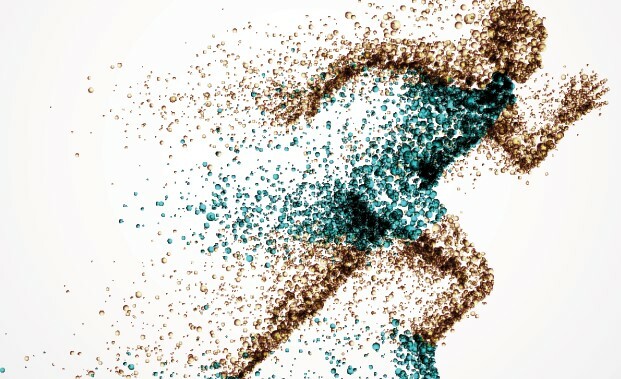 thrilling athleticism, revolutions within the art of watchmaking have transformed the luxury sports watch into an unbeatable beast. 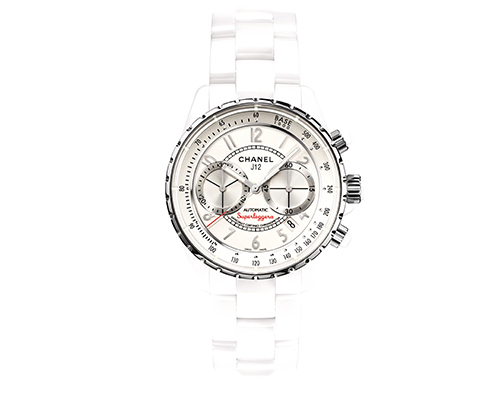 Interestingly, more and more women are opting for high-function timepieces to complement their active lifestyles. We approve; it is certainly endearing when a watch can — like a woman — multi-task, deliver topnotch performance and simultaneously look flawless while at it. 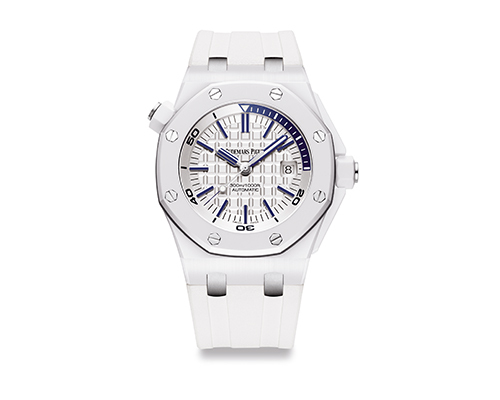 One of the more serious Audemars Piguet watches for true sub-aquatic aficionados, the latest Royal Oak Off shore Diver impresses with a 13.9 mm thick dive case with an internal bezel adjuster white Super Ceramic — which is more than nine times harder than steel! 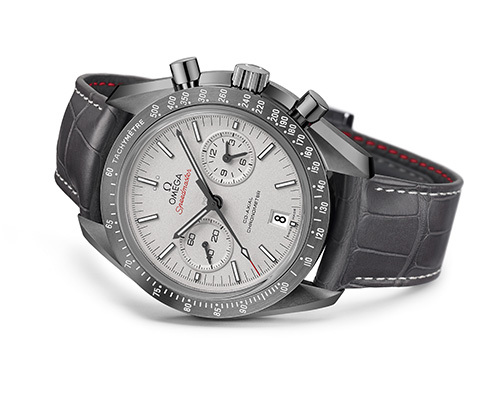 Given that the fi rst astronauts to ever step on the lunar surface were equipped with OmegaSpeedmaster Professional chronographs, it is no surprise that the brand is saluting their space legacy with the Speedmaster Grey Side of the Moon, inspired by the lunar dust that captured the footprints of the Apollo astronauts. 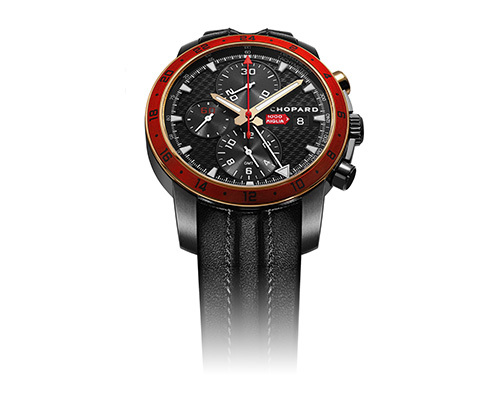 When the legendary openroad sports car race, Mille Miglia, inspires the luxury automotive designer, Zagato, and Chopard to join forces, the result is astounding. The limitededition Mille Miglia Zagato Chronograph’s movement is certified by the Swiss Official Chronometer Testing Institute, while the DLC coated steel case is highly scratch-resistant. anti-reflective coating on the inside. The spanking new Luminor Submersible 1950 Le -Handed 3 Days Automatic Titanio timepiece has won over fans from the world of diving as the perfect instrument for underwater escapades. The 47 mm watch has the winding crown on the left, protected by Panerai’s iconic lever device. The design of the special rotating bezel was inspired by the model created for the Egyptian Navy in the 1950s. It enables the calculation of the time of immersion and, to ensure maximum safety, only rotates anti-clockwise. The Formula 1 series from Tag Heuer, developed for the use of modern F1 drivers, owes its genesis to the brand’s official relationship with McLaren Formula 1. 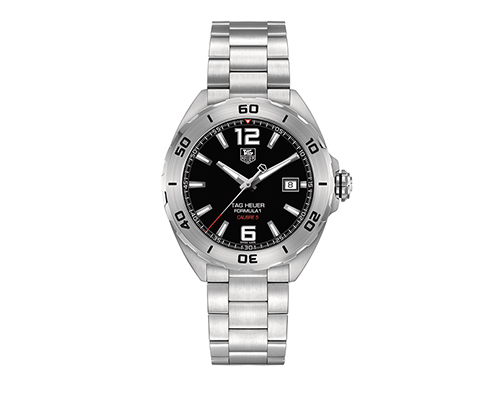 The Tag Heuer Formula 1 Calibre 5 Automatic contains all the established Tag Heuer Formula 1 features, in addition to an exclusive new case shape, sculpted horns and case back with the classic checkered design. The L-Evolution-R Chronographe Flyback A Rattrapante Grande Date, combines carbon fibre and cutting-edge technology while reflecting Blancpain’s resilient commitment to GT racing. Ensuring a 40-hour power reserve, the Calibre 69F9 is armed with a column wheel that guarantees accurate pusher control, as well as a vertical coupling-clutch to avoid undesirable jerking of the hand when the chronograph is activated. The overstitched strap in black alcantara features carbon inserts evocative of breakthrough innovations in the field of racing cars. 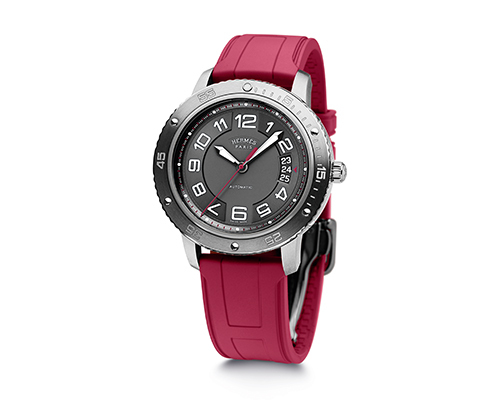 The latest Lady Diver watch is not only an exquisite jewellery watch, but also a dependable instrument. Powered by the self-winding UN-815 calibre, the timepiece is water resistant up to 100 metres and available on an exclusive rubber strap with deployant clasp. A winner’s watch, the outstanding all-white J12 Superleggera comes armed with an automatic ETA movement — certified by the Swiss Official Chronometer Control. 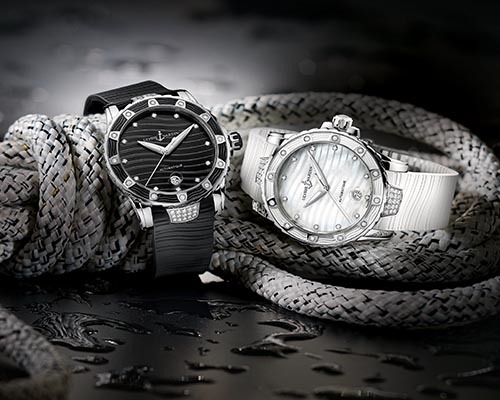 Its design, which finds inspiration in luxury cars, is accentuated by a white high-tech ceramic strap and a stainless steel triple folding clasp. 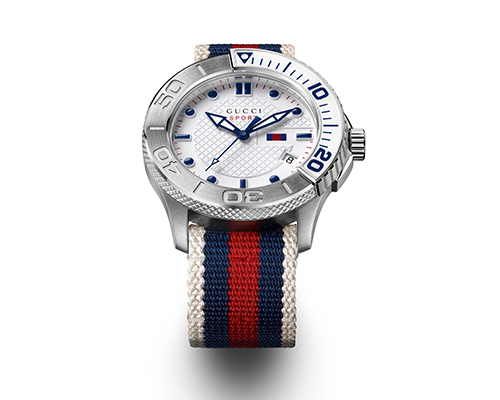 The Clipper Sport, an idyllic sailing watch, is the only one out of all the Hermès watch collections, which is available with a rubber strap and a case partially made of titanium. 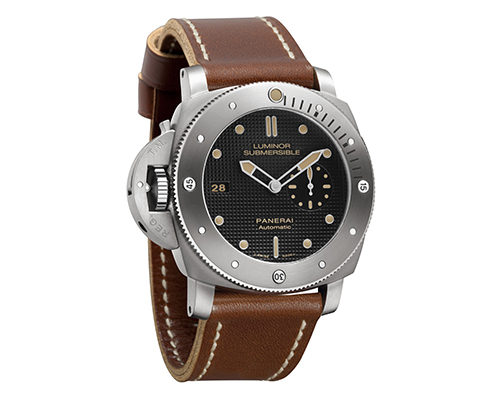 The 41 mm timepiece features a brushed bezel, reminiscent of the portholes of 19th century sailing ships. 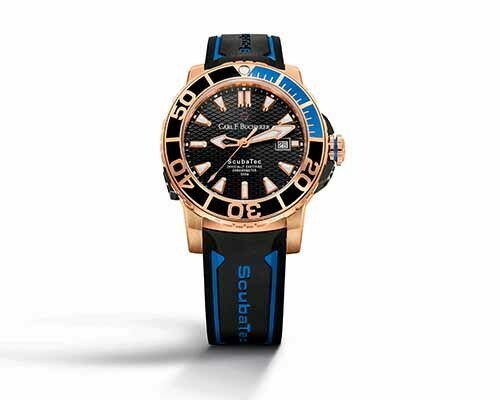 A resilient diver’s watch, the Patravi ScubaTec in rose gold is not only equipped with a helium valve and a rugged rubber strap, but the titanium case back also features a depiction of two rays, representative of the Manta Trust, which the brand works closely with. The Pilot range is one of IWC’s classic staples and the Pilot’s Watch Chronograph Top Gun defi nitely does not disappoint. 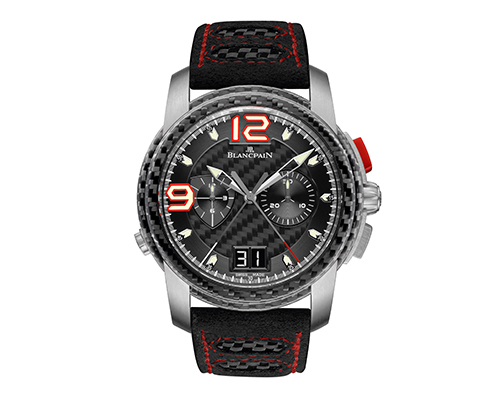 The black zirconium oxide case, crown and push-buttons in titanium and a black dial lend a no nonsense look to the watch, which is accentuated by the red plane on the chronograph needle. 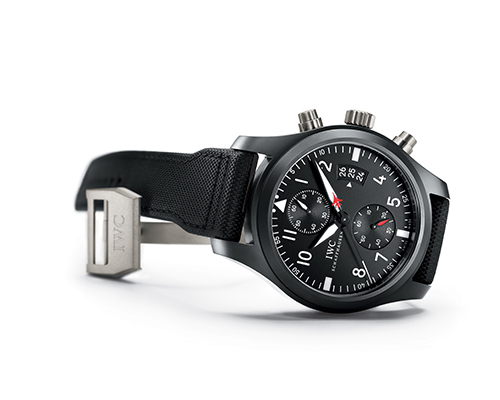 It offers pilots extreme precision with an IWC-manufactured movement — the further improved 89365-chronograph calibre, protected against magnetism by a soft-iron inner case. Supermodel Cara Delevingne looks mesmerising with her TAG Heuer Formula 1 steel and black ceramic chronograph set with glittering diamonds. 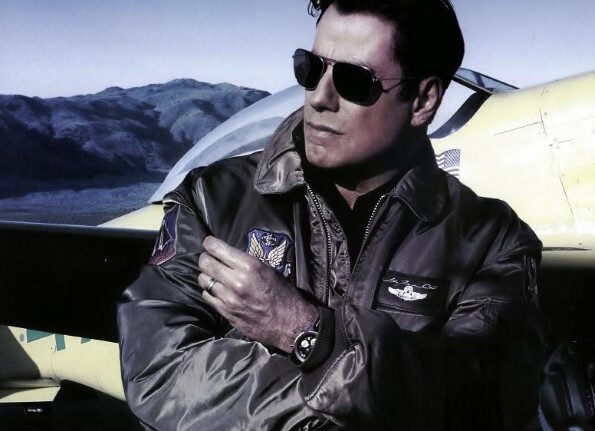 John Travolta may be famous as a Hollywood icon, but few know that he is also a respected veteran pilot. He’s seen here with his Breitling Navitimer watch, a favourite of pilots and aeronautical enthusiasts.